Hair salon M Nature has three locations in Singapore, one of which is within Jurong Point shopping centre (1 Jurong West Central 2). Owned and managed by Monsoon Group, M Nature offers hair salon services exclusively in co-operation with top professional hair care brands Shiseido Professional, Hatsuga, and Schwarzkopf Professional. The hair salons carry these brands complete spectrum of award-winning products, featuring hair care services done in the style of the omotenashi (Japanese hospitality) experience. 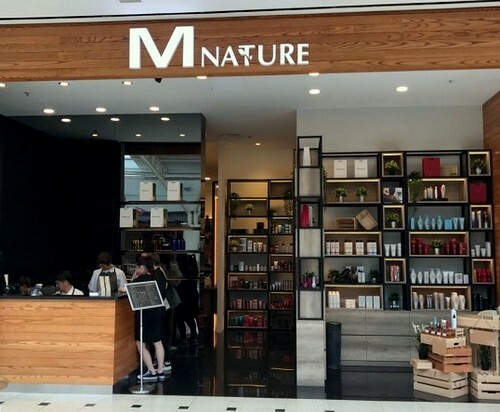 M Nature focuses on technology, organic & botanical ingredients that go into every product, while also emphasizing nurturing and nourishing the hair from inside out, scalp to tips, done very effectively for tackling Asian hair & scalp problems. Overall, at M Nature their certified organic products and awesome technical skills will enhance your natural beauty to make you feel like rockstar. The official Facebook brand page for M Nature by Monsoon Group is located at www.facebook.com/mnatureSG/. You can also follow the hair salon chain’s official Instagram account, which in turn is available at www.instagram.com/mnaturesg.